- 40 miles from downtown San Francisco in California's oldest wine region; the Livermore Valley. Shop at over 180 iconic brands and designer names while enjoying Northern California's beautiful weather in the state's largest outdoor outlet shopping center. The center features an impressive collection of high-end and luxury retailers including: Brunello Cucinelli, Coach, CH Carolina Herrera, Gucci, Jimmy Choo, MaxMara, Michael Kors, Prada, Salvatore Ferragamo and Versace and more. Come to this Simon outlet mall property for savings up to 25%- 65% every day. 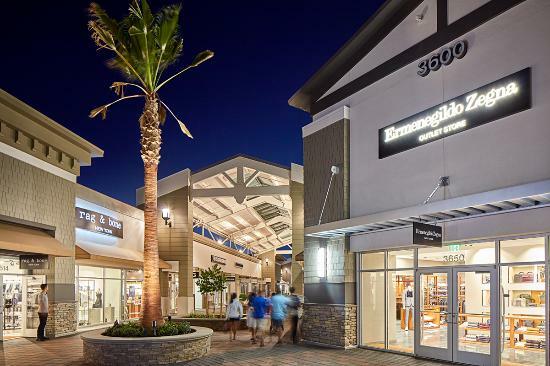 Whether you're taking a day trip to shop with the family or want to spend the weekend exploring the shopping center and surrounding attractions, you'll love stopping by San Francisco Premium Outlets for a pleasant getaway. Enjoy an assortment of delectable dining options at one of the available restaurants or grab and go stations while shopping for an experience that is truly unlike any other. Either way, you'll love the shopping, dining and attractions readily available in the area. For a complete list of stores found at San Francisco Premium Outlets, please click here. Please note, all shops listed above may not be available; please call prior to visiting for information about specific shops.